Auberge Residences and Spa Miami offers a prime downtown Miami location that positions residents just steps away from top social and cultural landmarks including the Adrienne Arsht Center for the Performing Arts, American Airlines Arena, and the Perez Art Museum Miami (PAMM). Additionally, with a short 5 to 10 minute drive, residents can be in the city’s best areas for shopping, dining, and cultural exploration in the Design District, Midtown, or Brickell City Centre to name a few. Architect Arquitectonica was hired to build the Auberge Residences and Spa Miami. He worked in coordination with the project’s developer, The Related Group. For the interiors, designer Piero Lissoni played a pivotal role in creating the high standard of luxury requested for the building. Each residence comes with a contemporary open floor plan, and some enjoy a private elevator complete with biometrics technology. For the design, Lissoni provides new residents with an option between several designer imported porcelain tile flooring selections. In the bathrooms, rain showers and spa tubs literally bathe residents in luxury, while spacious private terraces and energy efficient tinted impact resistant flooring along with floor to ceiling sliding glass doors and windows bring the outdoors indoors. Wrap around terraces are available for corner units. Units also come with a home automation system and smart building technology, including pre-wired high speed communication features and multiple telephone lines and cables. Spacious closets and 11-foot tall ceilings are available in each of the units. Sleek kitchens, luxurious bathrooms and cutting-edge technology are the name of the game for Auberge Residences. 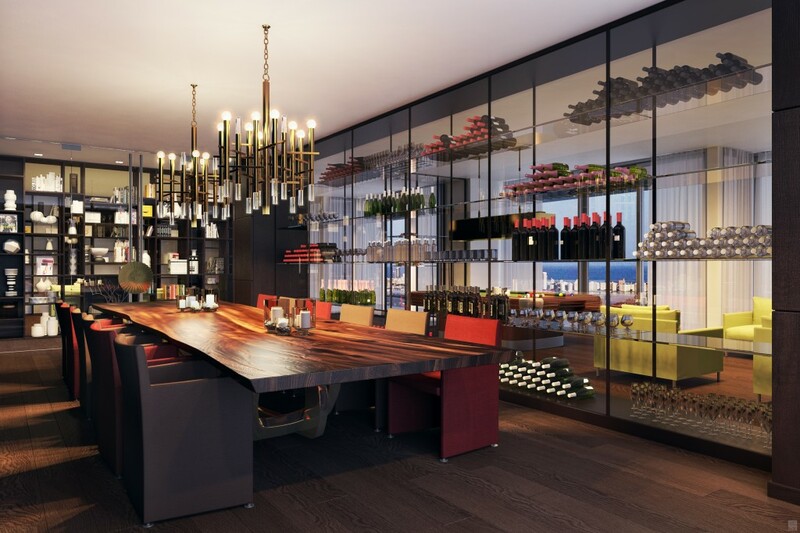 Auberge Residences will include over 290 luxury condominiums. There will be four duplex penthouses on the top eight floors, each coming with custom gourmet kitchens and a panoramic skyline. 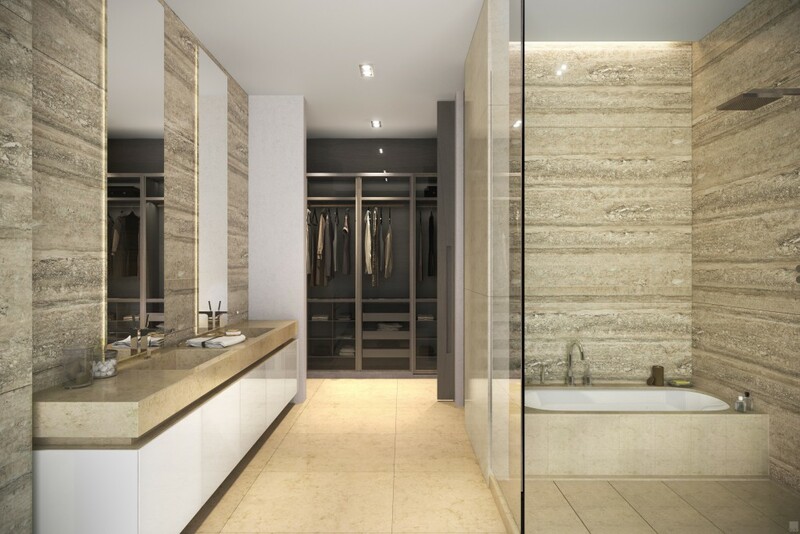 An additional 90 designer suites fully finished by designer Piero Lissoni will also be available. The tower itself will stand over 55 stories high and will boast spacious 1, 2, 3 and 4 bedroom floorplans each with private elevators and foyers. 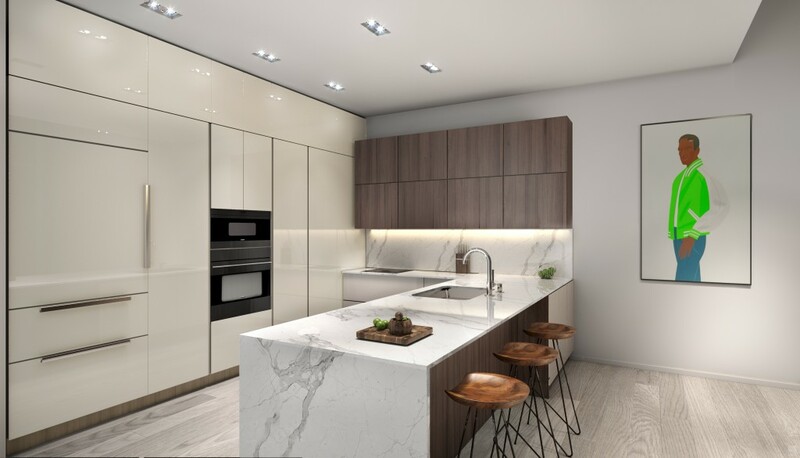 Unobstructed bay views, first class custom Italkraft Italian Kitchens and Subzero Wolf appliances along with top of the line bathrooms designed by Piero Lissoni are the core features for each of the units. Prices for each will start at $575 per square foot. Units range in size from 1,337 square feet to 1,964 square feet for two and three bedrooms – some featuring east to west flow through design. If these amenities are not enough, the building features 12th floor amenities and outdoor features including an incredible pool deck and terrace that overlooks the Biscayne Bay, a 160 ft. lap pool and a separate area for a 60 ft. lounge pool and spa. The pool area enjoys a shaded poolside cabana and lounge areas, a pool side café, towel services, a party room overlooking the Biscayne Bay, an outdoor kid’s play area, a state-of-the-art fitness center, private yoga and Pilates studio, cigar lounge, entertainment lounge, a wine room and so much more. Auberge Residences and Spa Miami provides the finest amenities, the world’s leading technology and IT features, and a variety of in-building entertainment to keep guests and residents busy and well taken care of. The location, features, interior design and price make this one of the hottest up-in-coming properties in Miami. Contact us to reserve your unit today with just 10% at Reservation and 10% at Contract. Groundbreaking is estimated to commence by January 2017 with another 20% deposit. Sterling Luxury Group is comprised of licensed real estate professionals who are able to help you select the perfect home through Sterling Luxury Homes. Our team of professionals are also able to provide you with real estate renovation, property home staging and interior redesign services through Sterling Home Styling. We can also style you from head to toe through Sterling Personal Styling. Let us redesign and restyle your life. We are Global Image Group‘s luxury lifestyle makeover image stylists in real estate, interior decor, and personal styling in Miami, New York, L.A. and Dubai. 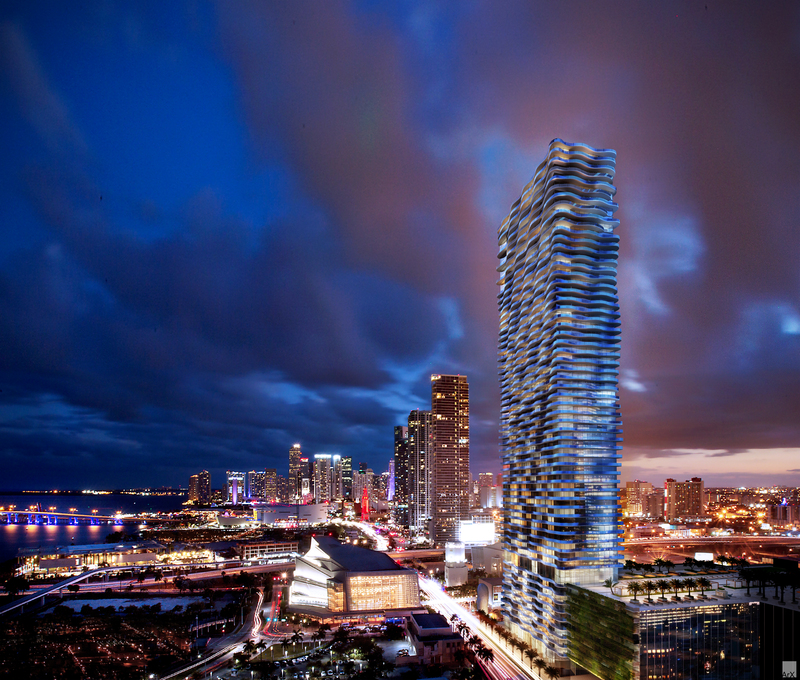 Pictures courtesy of the Auberge Residences Miami.